Back row - Lou Trull. 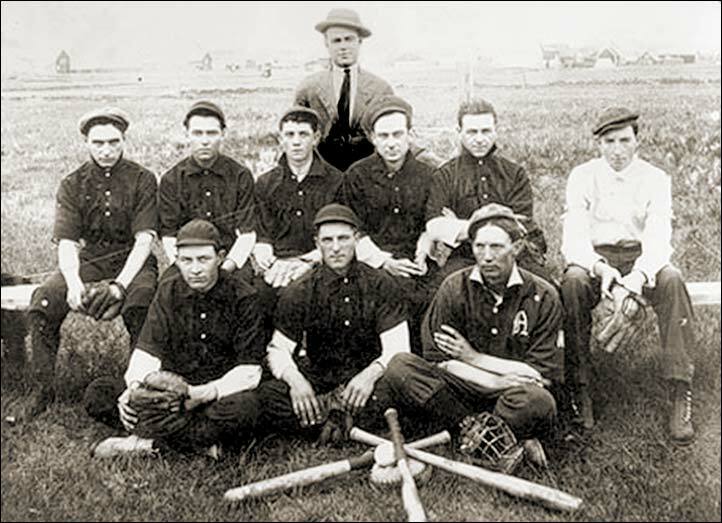 Centre row, (left to right) - Earl Trull; Lloyd Nixon; Orval E. Smith; Jesse Trull; Harvey La Clair; ---?. Front row - John Marshall; Charles Phillips; Tom La Clair.